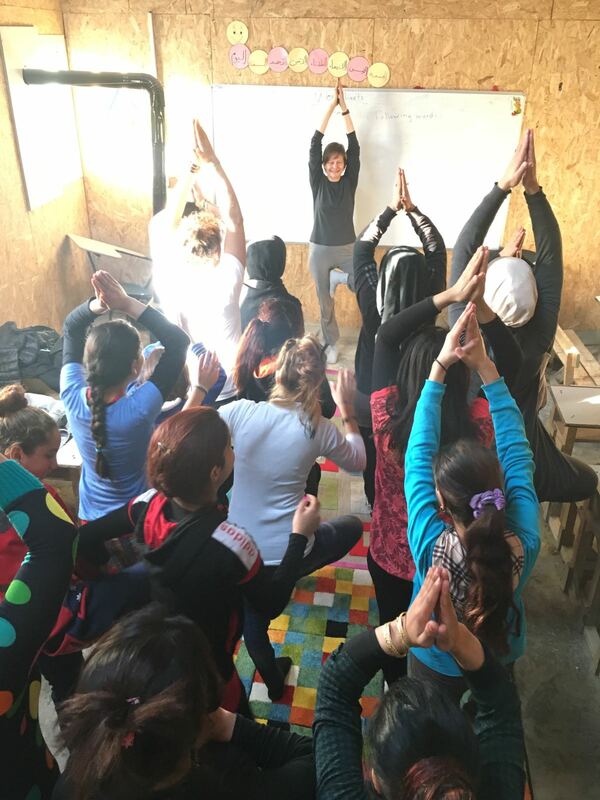 Yoga for Peace is a long-term project to enhance mental health and well-being among refugees in Lebanon’s Bekaa valley. As many as half of refugees are experiencing psychological distress or mental illness. One study found that 45% of surveyed Syrian refugee children suffered significant symptoms of post-traumatic stress disorder. The result of this is tension and anxiety, evidenced by nightmares, sleep disturbances, withdrawal, loss of concentration, anger and aggression. Experts have in recent years shown how traumatic stress rearranges the brain’s wiring, and sets it on high alert. A key to the treatment of psychological trauma is soothing the nervous system and inducing the relaxation response. Yoga can quiet the brain, regulate emotional and physiological states, and help traumatised people to reengage in the present. Simple techniques from yoga work on the nervous system to bring about profound relaxation. The parasympathetic nervous system is stimulated, strengthening the relaxation response, while the sympathetic nervous system with its stress response calms down. Our Yoga for Peace project aims to introduce the tools of yoga to Bekaa valley refugees to alleviate stress, anxiety and trauma. Regular practice of yoga will enable them to lead more stress-free, balanced and productive lives. The project aims at sustainability; it will build local capacity by training as yoga instructors local Lebanese and Syrian volunteers, including from the settlements. It will give the participants skills that are transferable from one location to another and that can be used to generate small amounts of income. In January 2017, we launched a one-year pilot project to introduce weekly yoga classes in three refugee settlements and two centres that provide services to refugees. In the course of 2017 and 2018, we also trained a group of 12 refugees and social workers working with refugees in yoga techniques for kids. Building on the experiences from the first two years, the project has now expanded to include additional settlements and several new partner centres around Bekaa valley. We are now about to launch our second training in kids’ yoga techniques. We have reached more than 100 women and girls within an age range of 13 to 50 years. We have also brought yoga to more than 300 kids in various formats, and have recently started our first yoga class for men. Through the settlement yoga classes and through local community organisations, we will seek to identify 15-20 volunteers – whether refugees or Lebanese nationals – who wish to be trained in teaching yoga to refugee women and children over the course of the coming years. The main criterion for participating will be willingness to commit to the full training cycle and to teaching refugees and other vulnerable groups. 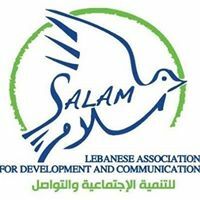 For this project, Tools for Inner Peace has partnered with the Lebanese NGO Salam LADC and is receiving support from the Kamynu Trust.